Disney Legend Don Lusk has passed away today at age 105 – reported by his dear friend Navah Paskowitz-Asner (Ed Asner’s son’s wife) on her Facebook page this morning. Lusk was hired by The Walt Disney Company in 1933 and he became an animator in 1938 on Ferdinand The Bull. His animation graced key scenes in Bambi, Song of the South, Cinderella, Lady and the Tramp, Sleeping Beauty and One Hundred and One Dalmatians. He is best known for his work on the Fish Dance in “The Nutcracker Suite” in Fantasia, Cleo the goldfish in Pinocchio, the title character in Alice in Wonderland and Wendy in Peter Pan. 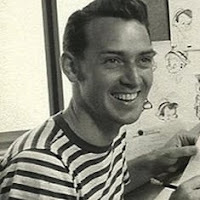 Lusk left Disney in 1960, but continued to work as an animator during the 1960s and 1970s, on UPA’s Gay Purr-ee (1962), A Boy Named Charlie Brown (1969), and freelanced for Bill Melendez and Walter Lantz studios. He spent 23 years at Hanna-Barbera, directing everything from Scooby Doo to Yo Yogi!, working well into the 1990s. In the early 1990s, Lusk retired after a career that spanned 60 years. He received a Winsor McCay Award for lifetime achievement at the Annie Awards in 2015. He was a friend to many in the industry and a legend in the field. He will be sorely missed. Born: 10/28/1913, Los Angeles, California, U.S.A.
Died: 12/30/2018, San Clemente, California, U.S.A.
My dear, close friend, and frequent guest of "Stu's Show", Tom Williams, passed away on Friday morning. He was 89. Tom had an unbelievably versatile career - he was an actor, a voiceover artist, a producer (of "Adam-12" for its last two seasons), and was personal assistant to Jack Webb during the 1960s reincarnation of "Dragnet". I am heartbroken. He spent Thanksgiving with Jeanine and I, and he was fine. Now he's gone. The family is requesting privacy right now, but feel free to post comments below if you wish. Born: 8/15/1929, Chicago, Illinois, U.S.A.
Died: 12/28/2018, Woodland Hills, California, U.S.A.
Valéria actor Cesáreo Estébanez died Sunday in Alcalá de Guadaira (Seville), where he lived with his wife, at 77 years of age, as confirmed by the Union of Actors and Actresses on Twitter. The Valladolid actor, famous among other roles for playing Sergeant Romerales in Farmacia de guardia, whose hoarse voice was very popular, lived in Alcalá for more than twenty years. Estébanez had a long professional career, with roles in films and series such as Estudio 1, La forja de un rebelde, Menudo es mi padre, Turno de oficio: diez años después, Médico de familia, Siete vidas, Periodistas, Manolito Gafotas, Hospital Central, Los hombres de Paco, Herederos and Escenas de matrimonio". The versatile artist, who alternated drama with comedy, worked throughout decades of career under the command of the greatest directors of Spanish cinema, such as Vicente Aranda, Manuel Gutiérrez Aragón, Antonio Giménez Rico, Mario Camus, Carlos Saura or Pilar Miró, among others. In 1993 he was recognized with the Award of the Union of Actors for the best television secondary for the role of Sergeant Romerales. His body will be transferred to the Palencia funeral home and the chapel will open at 7.30 pm this Sunday. Tomorrow will be the funeral, at 12.45, in the parish church of San Lazaro de Palencia. The Union of Actors and Actresses lamented in their Twitter account the death of the artist, whose charisma has stood out. 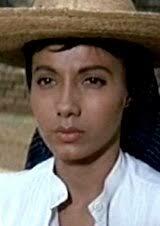 This night the news that the actress Veracruz Rosenda Monteros died at 83 years of age was released. Monteros was born on August 31, 1935. She was recognized in the national dramatic theater, and mainly for her role as 'Petra' in the American film 'The Magnificent Seven'. In 1990 she received the recognition of the Mexican Association of Theater Critics for the record of 263 theater performances, and in 2003 she won the Best Actress award in Classic Theater of the Golden Age. Some of the films he participated in were 'The Corpse Collector', 'Los perros de Dios' and 'La Casa de Bernarda Alba'. The last telenovelas in which he participated were 'When the children leave' and 'Love is not how they paint'. Italian film actor and video producer Stelvio Rosi died in Rio de Janeiro, Brazil on December 19, 2018. He was 80. Born in Rome, Italy on August 1, 1938, Rosi made his film debut as a child actor in 1942, in Ferdinando Maria Poggioli's “Yes, Madam”. He reprised his acting career in the early 1960s and was initially used almost exclusively in teen comedies and musicals. 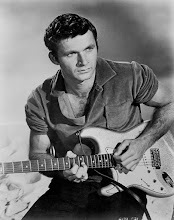 In 1968 he changed his image and his name and to Stan Cooper and was cast in the leading roles in a number of genre films, often adventure, war films and Spaghetti westerns. He worked several times with director José Luis Merino. 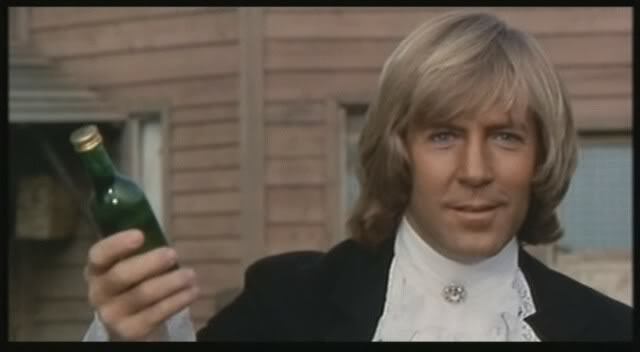 In 1973 he retired from his acting career and moved to South America, where among other things he worked as a film and video producer in Rio de Janeiro. 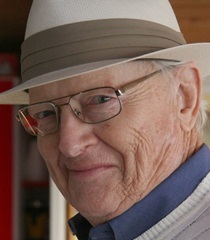 Rosi appeared in five Euro-westerns.